Welcome to the updated class page of 5L. We will be updating this page regularly with information for parents and carers and activities for children. Miss Loftus and Miss Brown. 5L had the pleasure of escorting KS2 classes around the Stations of the Cross at St Thomas’ Church. The class really enjoyed taking peers on a prayerful walk through the Stations, which incorporated Scripture, prayer and reflection on those in need today. Each class got a Lenten prayer card from CAFOD and joined in with prayers as they ‘walked with Jesus’. As a sign of respect and friendship, children from Year 5 wrote cards to the parishioners who attended masses over Holy Week. We had several visitors last week to support our understanding of ‘habitats’. From desert based reptiles, to tree dwelling amphibians we were escorted around several habitats of the world, discovering animal adaptations and characteristics according to where they are in the wilds of world. We were all lucky enough to touch and hold each animal - fascinating! Another busy week in 5L at STOC! On Tuesday we visited All Hallows for a transition afternoon. Along with another school, we completed a carousel of activities that tested our communication and problem solving skills. On Wednesday we visited church to receive ashes on our foreheads and bring to mind the three pillars of Lent – prayer, fasting and almsgiving. We are raising money this Lent for St Joseph’s Penny Appeal. On Thursday it was World Book Day! As always, this was a fantastic opportunity to display the vast range of genres that we read and celebrate the diversity of our preferred authors (and characters). Miss Loftus channelled her inner dentist and came as Miss Root aka the Demon Dentist! On Friday, we enjoyed a macabre tale from the Black Ship (our class reader with Mr Deane) and were shocked with the malevolent twist at the end! We also mixed primary and secondary colours to create tertiary colours; we related this learning to primary, secondary and tertiary work sectors. This week, we began our new science topic of reproduction. We dissected plants and labelled both male, and female, parts of the plant. We also discussed how plants are pollinated! We checked out artefacts relating to the Maya and made our own masks! The end of Spring 1! We are now half way through Year 5! These past few weeks have seen us visit Our Lady’s for a Mayan workshop, complete several science experiments to investigate how mixtures might be separated and complete the Philip Pullman novel ‘Clockwork’ with Mr Deane. After reviewing the book, we all agreed that we enjoyed the way the character’s lives and stories merged in a macabre way. We shall certainly be thinking twice before we use the word ... devil (!). After typing (and publishing) our Highwayman narratives, we proudly took a copy home to show our family and friends our developing author voices. Miss Loftus was blown away with our imaginative interpretations of the original plot. Spring 2 will see us write our own Mayan Myth, begin the topic of ‘reproduction’ in science, cover the topic of ‘Lent and Easter’ in RE as well as continuing to develop our mathematical understanding through concrete, pictorial and abstract activities. It's been a while since we updated our webpage and there are so many new facts, and newly discovered knowledge that we could share! We welcome parents to come and look at our books at any time to see the fantastic effort we are putting into applying our newly taught skills across the curriculum ... we also like to 'wow' with our drama skills! We completed Street Child (and shed a tear or two), and have moved onto Demon Dentist by David Walliams. Not only do we giggle at the writing, but we have identified some super figurative language that we have used in our own writing. We also recently read The Highwayman and are writing a narrative based on this whilst discussing the tragic love story. 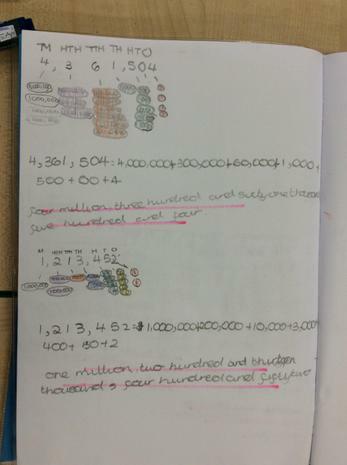 We have been revisiting our addition and subtraction knowledge from Lower KS2 and applying this to our upper KS2 work. We have recently looked at the topic of angles also ... not to be confused with angels! We looked at the topic of settlements which included identifying the layout of a city. We activated prior knowledge from earlier topics whilst learning about city populations from across the world. See our knowledge organiser! We read George's Marvellous Medicine in Year 3, and now we are looking at the science behind it! We began by recapping states of matter and quickly moved onto discovering how some liquids and solids can be separated (reversible changes), whereas some cannot (irreversible)! We used several methods and completed several experiments - including making a salt solution. At the end of the topic, we will review our knowledge organisers to see which aspects we'd like to delve deeper into! In PSHE, we have been discussing a topic that affects us all – online safety. We are all tech savvy, but sometimes need to remember that reality and virtual reality can both pose great risks to us. Our wider world knowledge has certainly developed! We have been discussing trolling, cyber safety and the impact of social media – both negative and positive. We have role played many scenarios and Miss L has noticed some budding actors! During our fourth week of Autumn 2, we have started to write a recount of Jim’s journey after escaping the workhouse. We are inventing an alternative ending. Will it be a happy ending or not? We’ll keep you posted. Based on our challenge set at Our Lady’s, we have been busy inventing an object that either solves a problem or makes our lives easier. We’ve have some funny entries so far; a robot that completes homework, a z-ray that shows up muscles and even a collar that interprets what your pet is saying. Pawel brought in his own paper inventions this week, which included a 3D figure of Queen Victoria. On Friday, several members of our class presented a debate. Miss Loftus allows a treat afternoon each half term, and it was suggested that slime making might be our next activity. After being set the task of presenting a convincing argument as to why slime making would be a good option, the ladies of 5L rose to the challenge and really impressed the class. Each eventuality was covered! Well done ladies! Over the past few weeks, we have visited Our Lady’s secondary school to learn about Victorian Inventions and made sweet potato pancakes PLUS our own healthy pot noodles! Our grammar focus’s have been possessive apostrophes and parenthesis (which is super fun to use). We have now completed two weeks of our second half term. Although it’s only November, 5L have been hard at work learning lines and songs for our carol concert in December. We hope you can join us there. Dates to be announced soon! Over the past two weeks, 5L have been visited by Nikki from ‘Kiddy Cooks’. So far, we have made cheese scones and sweet potato pancakes. Everyone is enjoying learning new cookery skills – Ese and Callum have been our star bakers so far! On Friday, we celebrated the 100th anniversary of the end of WWI. We really enjoyed making our own poppies, learning ‘In Flanders Fields’ and observing a 2 minute silence. Watch the videos to hear the Drama club’s poetry recital of ‘Never to Grow Old’. Our first half term has flown by! As promised, if you find yourself at a loose end this holiday, check out these online games to practise learned skills. ... and don’t forget Miss Loftus’ favourite! We visited Paul in the garden to learn about all things water related in the Victorian era. Did you know that Broughton was considered a lot ‘posher’ than central Manchester? This was because the air was clearer than the factory laden city centre. Paul demonstrated how goods were transported via the canals. He used drainpipes to show how locks work. Amusingly, Miss Loftus got drenched as Paul hadn’t blocked up one of the drainpipes! We also used these drainpipes to transport tennis balls from one end of the garden to the other – we had to use teamwork to manoeuvre the balls successfully. We visited Pizza Express in Prestwich this week where we stretched dough, sprinkled cheese and took in the atmosphere of a busy restaurant. Each child took a pizza home, and so did the three adults! 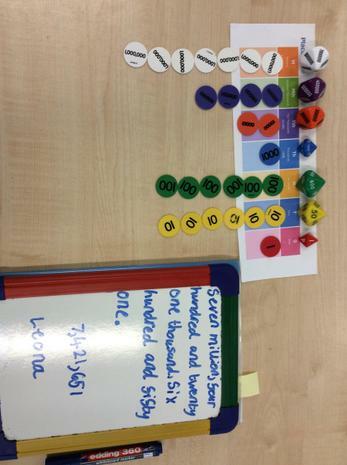 Within our mathematic lessons, we have focused on time and place value. 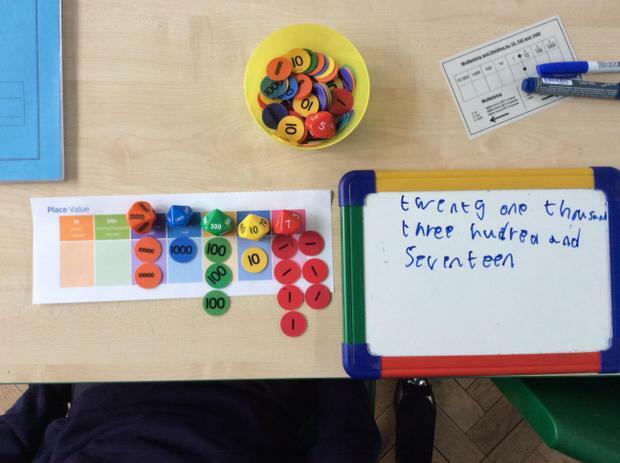 Each child is now able to confidently read and write seven digit numbers using concrete materials. We are very proud of the determination shown by everyone to master this. Some of us have been problem solving as well as creating our own problems for peers – we know this skill will help us progress as mathematicians. In the mere blink of an eye, we’re 5 weeks into the autumn term! Where has the time gone? This half term has seen the children move into their penultimate year of primary school and each child has risen to the challenge with aplomb! Our novel this half term is Street Child which centres around a young boy, Jim, who loses his family through poverty. We follow Jim on his journey through the dark, tumultuous Victorian times. This novel will stir emotions, raise questions and support the children’s knowledge of life in the Victorian era. In our writing, we have used our novel to compose a setting description and character description.